Like it or not, this is what nannies are talking about. 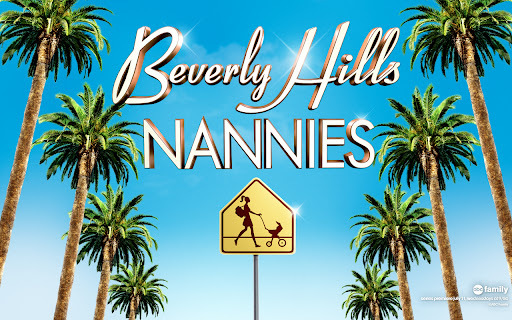 The first episode of Beverly Hills Nannies on ABC Family discussed all the most difficult topics nannies privately gossip about but are too afraid to discuss publicly in the fear that they would lose their jobs if their employers heard what they are saying. Gossip is the name of the game in this show. While shopping in the same store on Rodeo Drive two nannies compare their current hourly rates and benefits, while the parents who employ them compare what duties their nannies were willing or not willing to do. This impromptu gossip sessions leaves nanny Justin feeling unappreciated because he is paid half the rate of other nannies in Beverly Hills. But, this trip to the store also exposes the fact that Justin is only doing half the work as the higher paid nannies. Nanny Kristin proclaims she is the top nanny in Beverly Hills. Kristin gathers her best nanny friends to a party to announce she is opening an exclusive nanny agency. This party lends itself to another gossip session in which the caregivers swap horror stories about sexual harassment on the job and whether Kristin’s best friend can cut it as an elite Beverly Hills nanny considering how much alcohol she drinks on her time-off. Kristin confirms another taboo topic (age discrimination) when she announces that the nannies she’s looking to refer to families are the ones we seated at the party — those that are young and fun. After discussing whether a father the nannies interviewed with was good looking or not, Kristin tells two of her blond bombshell nanny friends the reason they didn’t get a nanny job they interviewed for was that their brunette friend, who was offered the job, wasn’t as attractive as they are. Kristin explains to her blond friends that they are too good looking to get some nanny jobs because pretty caregivers are threatening to mothers who see attractive nannies as competition. In the first episode we also learn that nannies don’t want to be pet-sitters, or dog poop or duck poop picker-uppers and working for vegan families may be harder than some nannies can handle. I can’t believe they tackled all these taboo issues already in the first episode. Although I wouldn’t recommend nannies compare fathers they work for to George Clooney or that they announce to friends that a child needs speech therapy, this reality show did show us what does happen in real life. Like it or not, nannies and the parents that employ them gossip and this is what they are talking about. I forgot to mention labor laws and discrimination. I will have to ask nanny agency owners is it okay for Kristin to say basically if she likes a nanny she will refer her to parents but if she doesn't like you she won't? Wow! I did not watch the show. I wasn't sure if I wanted to, and I think I'm glad I didn't. I am so happy and blessed with the 2 families that I work for. This sounds so over the top, and reading about it is actually bringing back memories of a family I worked for, for a very short time, in New York. Ugh! Cattiness. Shallowness. I feel like such a part of the families I work for, and also did for the one good family I had in New York, and the family I lived with before I was married. I've been very blessed. Thank God! I just came across this, and am surprised that you seem to think this is real! While the actors got typical topics of conversations for nannies correct, they are just that, actors! There is NOTHING real about this “reality” show.